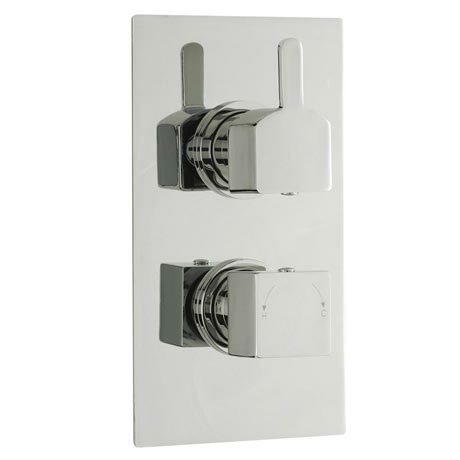 The Falls concealed minimalist thermostatic twin shower valve with rectangular plate from Ultra offers a simple shower solution with a neat finish and is suitable for use with all water systems. Features minimalist easy to operate controls, the top control turns the water on and off and the bottom control adjusts the temperature. Operates one shower accessory, choose a fixed head or slide rail kit (sold separately).